Technology and state-of-the-art machinery has helped ease our lives inside and outside the kitchen. However, the methods of past centuries in preparing key ingredients for our food did also have benefits in their own right. The ancient art of grinding daily 'masala' is one of these. Most homes in the subcontinent had and many still have their indigenous stone grinders in some shape, size or form. The "Masala Stone" or Masala no Pathar, as we refer to it in Gujarati, was generally made from limestone which contained calcium. This gave the family an added health benefit of calcium, dissolving into the food and therefore entering their daily diet. Wow! I personally think it was genuinely genius. Besides India, Sri Lanka, Bangladesh and Pakistan, it is well known that the Indonesians, Malaysians and Singaporeans continue using the traditional personalised Masala no pathar. Each language has its own phrase of reference. The South Indians and Sri Lankans in Tamil lovingly call it Ammi kal /aami kalu meaning grindstone. Folklore has it that the stone dresser would walk the streets with his bag of assorted chisels with loud cries of "Ammi Kalu" to let the house wives know of his arrival! Rubbu kal is referred to a mortar and pestle. Although it is generally known as a Masala ka pathar in Urdu and Hindi, the people of Mangalore in India call it Ragda;this also means a mortar and pestle rather than the flat stone but is referred to either by them. Some Indians also call it Dandi Pan and Stone Patta;which literally translated means a stone and a leaf !! Having grown up with watching this when I was a little girl, I remember the process. To start off the stone would be washed in warm water. Any excess then just removed with one's bare hands. Salt would be sprinkled and then all the ingredients for that day's masala laid out on the stone. Chutneys and masalas were made up of hard coconut flesh, ginger, garlic, a variety of dry and fresh chillies and all the hard spices necessary - these were ground together and turned into a beautiful thick paste. Generally, all the larger pieces were smashed together with the side of the pestle and brought together and then rolled over with the heavy pin again and again. It would need some liquid to form a paste, the same principle of using the grinder, and so warm water kept in a bowl on the side was added. 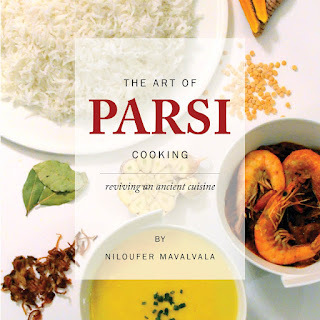 Vinegar and tamarind juice being an integral part of the recipe in any Parsi cooking, those were also often used. Great care was taken to wash the stone well as the acidic ingredients tend to affect the limestone. Growing up I went to a traditional all-girls school in Karachi Pakistan, where cooking classes were part of our curriculum and we got the chance to actually use this wonderful art form. It was frowned upon if you used an electric blender to prepare your curry masalas, as everyone who actually mastered the art of using the stones continues to promise us a very special flavour and consistency. I would be questioning this statement if I had not had a chance to experience this first hand. The smoothness and the feel between your fingers is silky unlike anything we can see using modern day marvels. Far from being a martyr or ever wishing there was any need for hard labour revisiting, I am eternally grateful for all the modern day gadgetry ever invented. These slabs of limestone are cut into a rectangular shape large and small in preparation to be sold. It is a two piece set with the second piece being a small rectangle pestle much like a rolling pin but flatter.Generally those were hand picked by the person using it so it was comfortable to use and not too heavy nor too light. Much like a chefs personalised knife. The stone dresser would take these chisels and make small depressions all over the stone in preparation for it to be used. This would prevent the coconut, chillies, onions, ginger and garlic from slipping and sliding all over the place. Most homes also kept a pestle and mortar to crush seeds and peppers. Tips: If anyone being adventurous enough should decide to go ahead and try this out ,washing your hands thoroughly after with soap and water, probably twice, is highly recommended so as not to get the sting in your eyes! !